Skinny Sprinkles is a glucomannan powered weight management supplement brought to market by E Beauty Ltd. The company is registered in England and Wales and appears to conduct its business in a reputable way, but it is unclear what level of experience they have in the weight loss industry. However, the fact that Skinny Sprinkles appears to be the only supplement they are marketing suggests they may be newcomers. Having said that, several celebrities, including Geordie Shores stars, Holly Hagan and Chloe Ferry, are happy to admit they use Skinny Sprinkles to stay in shape, so it appears E Beauty have come up with a formulation that works. We do like the branding of Skinny Sprinkles but we are not sure about the marketing campaign involving Holly Hagan etc.. it just seems so false. What is Skinny Sprinkles and How Does it Work? 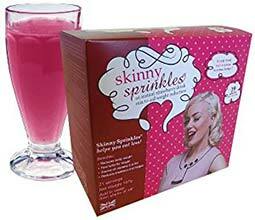 Skinny Sprinkles is a granule type supplement you mix with water and consume as a drink before eating a meal. It’s intended to work as an appetite suppressant. Supplements of this kind are designed to control the hunger urges that can encourage people to pig-out and overeat at designated meal times and/or snack between meals. When appetite suppressants are used within the confines of a calorie-controlled diet it can help cause a calorie shortage that is great enough to necessitate the burning of body fat. People who get plenty of exercise are likely to experience a greater calorie shortage and their body will respond accordingly—by burning extra fat. Glucomannan is one of the best appetite suppressing ingredients in the world and its hunger curbing abilities have been endorsed by the European Food Safety Authority (EFSA). It’s a water soluble fiber obtained from the roots of the Konjac plant and it is so absorbent it can soak up around 50 times its own weight in water. As the fibers hydrate they expand and become a gel. When this happens in the stomach it fills up the cavity, lessening hunger and helping people to eat less. However, the EFSA states 3 x 1g doses are required per day and should be taken before meals. They also state diet and exercise is a must. 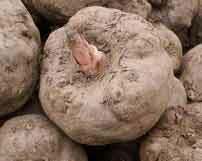 Inulin is a chicory extract that is high in fiber. 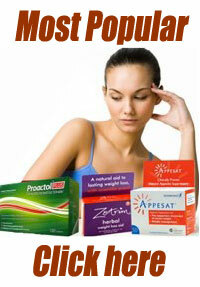 It may help with weight loss, but it is also capable of causing stomach problems. Green tea is a good ingredient. It’s a proven fat burner and also provides antioxidants that improve the health. 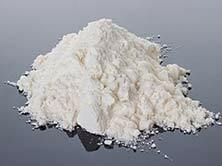 Caffeine is also a fat burner, and it can be good for giving extra energy, but it is an ingredient that some people do not tolerate well. Vitamin C and niacin are good ingredients that may indirectly contribute to the weight loss process, but manganese is unlikely to offer much of benefit. Usage Instructions – Add the contents of one sachet to a glass of water and drink it 30 minutes before a meal. 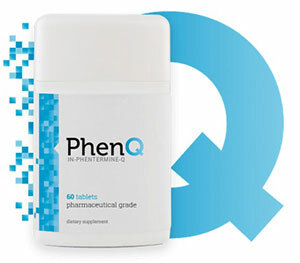 Three doses are needed per day and good results will require the product be used in conjunction with diet and exercise. A few past customers say Skinny Sprinkles gave them an upset stomach, so we suggest all potential users seek a doctor’s advice prior to commencing supplementation. This is especially important in the case of women who are pregnant or nursing a child, people with known health problems, and anyone who is using medication. A pack of 30 Sprinkle sachets costs £19.99 (or equivalent in AUD$) from the manufacturers website. If this sounds like a pretty good deal you might want to bear in mind the fact that, at a rate of three sachets per day, each pack is only going to last for 10 days. Skinny Sprinkles contains a very credible ingredient. The quantity provided is the same as that recommended by the EFSA, so the product should be effective for weight loss, but it is unlikely to suppress the appetite better than other products that provide the correct amount of glucomannan and, at a cost of around £60 (AUD$100) per month, Skinny Sprinkles is more costly to use than other supplements that have more to offer in the way of benefits. The lack of a guarantee is also an issue because many customers complain they had to stop using the product because they could not stand the taste.